New taps can freshen up the look of your sink, bath or basin so much, that people will often think you've had the whole unit renewed. We shut down the water supply to your basin with the minimum disruption to you or your household. 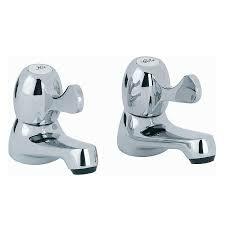 We then remove your old basin taps and install the new ones. All you need to do to is supply the new taps.